My first writing memory dates back to when I was around 8 years old and feverishly re-writing the Nancy Drew novel I’d just read. Once I began writing, I didn’t stop. I wrote stories, the beginnings of novels, journals. Writing was a compulsion, something I felt I had to do. That all changed ten years ago when my mother became terminally ill and for four years, I couldn’t write a word. Nor could I read. Words just left me. So I began to paint, recapturing the love of drawing that also began when I was a child. But when my mother died, I slowly began to write again. Now I’m writing more than I’ve ever written before and I still paint, in acrylics. In the past seven years, I’ve had some success in writing competitions, had short stories published in books and magazines and began to blog. I’ve never felt more inspired creatively. I’ve written two magical realism novels for adults: The Skin of a Selkie and The Wintering Place and am seeking an agent to represent me. I find inspiration in nature, the coastline and the turn of the seasons. For many years I have been a witch in the solitary tradition, sometimes moving away from that path but always returning to it and its focus on the sacredness of nature. You’ll find writing about all of those things and creativity in general here. I hope you enjoy reading my posts and I’d love to hear what you have to say about your own creative life. Thank you so much for passing this on! Thank you so much Nina, I’m glad you’re enjoying it! Thanks so much Miranda, glad to have you here! And what a coincidence – I found your blog through 4am writer and signed up before I knew you’d found me, so we were obviously meant to connect! 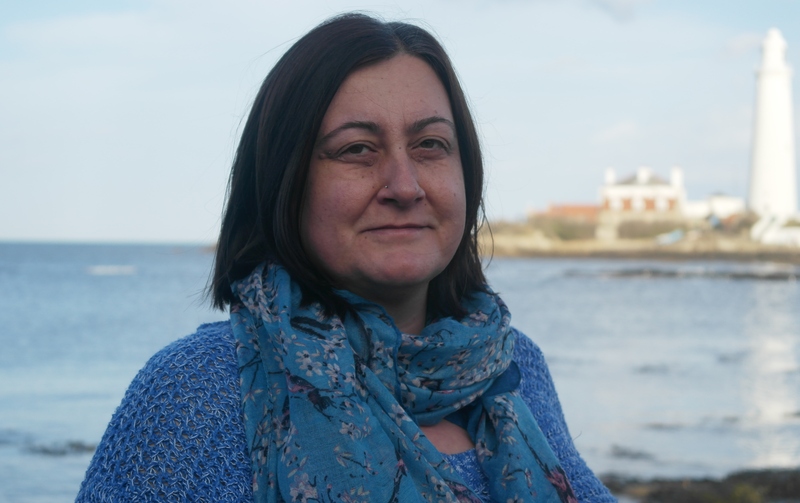 Time to update that page I think Sandra – I’ve actually changed the title to ‘The skin of a selkie’ – it’s a story of a mother and daughter and the daughter’s quest to understand her real parentage (some parallels with Ignoring Gravity there!) but set within the selkie legends – creatures that live as seals but for one night of the year are free to take human form. In theory it’s ready to go. I entered the Richard and Judy find a bestseller competition but didn’t get anywhere with it, so my next step is to submit to agents, but now I’m having doubts and thinking I should do some more work on it – not quite decided yet. It’s been a few months now since I did some major revisions – I think I’m happy with most of it now, but the beginning keeps nagging at me and the part leading up to the ending. I think, given that nagging feeling I need to revisit those bits and either make some changes or be sure I’m happy, then, I think I’ll be able to send it out feeling I’ve done my best with it. Andrea, thanks for dropping by my blog and for your kind comments about Saxon’s Bane. This is a return call – and I’m finding a creative wonderland. You’ll definitely like the next book. A city protagonist who finds new meaning in the countryside – as well as witchcraft. Thanks for visiting Geoffrey, glad you found some creativity here! Thanks for the welcome John, I was inspired by your stories and photos on Britt’s blog, looking forward to your future posts. Oh, I totally understand not being able to read when someone close is terminally ill. When my husband was dying and for several years after, I could not read. I was a person who read every spare minute of the day. Instead of reading, I listened to music and when I finally could read again, I began to write poetry. Much success with your writing and your novel. A painting of Hecate is on my bookshelf across from my desk. So glad I found your blog. Yes, I found I didn’t have the attention span either to read or write. Painting was an ideal alternative because it had no words. I’m sorry to hear about your husband though I am glad that you were able to find your voice as a poet. Thanks for discovering me and my blog, so now I have discovered yours! Fascinating and well-written. I look forward to reading your posts. You’re welcome and thanks for dropping by my place! Thank you, see you over on your blog soon. Andrea, I’ve just tagged you for the 777 Challenge. Why thank you Sarah, I’m about to read your post, but I’m afraid I will be running away for a little while, having a break, so I may not take you up on it! I have issued a small challenge for you! Should be a piece of cake with your talents, if you choose to accept, of course! Now see here, just because you’re now a haiku addict doesn’t mean you can just throw out poetry challenges 🙂 I’ll have to ponder this one, I think, haven’t written a poem since I was a teenager!!! What a rich story of creativity, artistry and passion you have! I’m so happy to have discovered your site. Looking forward to more. Thanks for your visit and comments, welcome! Creativity, I believe, can be a lifesaver. But when your mind, heart and soul are grieving or suffering for someone else, creativity can shut down. I’m glad you found your way back to painting and writing. There are few things in this world that gives such fulfillment. Thanks Jennifer, it was difficult to be without it for so long, but it came back all the more strongly. Oh, the Creative Life – what an ephemeral energy and with a mind of its own. I am really glad to have been recommended this blog and look forward to discovering more of it. Thanks and welcome Francesca, you’re right about that creative energy and the concentration needed to put it into action. Andrea, I didn’t know the best way to contact you, but just in case you don’t know about it, Creative Nonfiction (magazine) has an upcoming theme of “Learning from Nature” that, in my honest, humble opinion, seems to have been created just for you! I’m not sure if they accept international entries, but I figured you might like to look into it. Here’s the link: https://www.creativenonfiction.org/submissions/learning-nature Have a wonderful day/week/January! Thank you Leigh, I really appreciate you thinking about me and I’ll be sure to have a look! Pleased to meet you too Marina, welcome! Hey there, Andrea! Since June is the 6th month of the year, I’m following 6 fun and interesting blogs each day, and you’re one of them! Follow me back if you like at http://www.thatssojacob.wordpress.com and make six new blog friends of your own. Have a great day! Andrea, I’m so happy to have across your blog via Karen’s. As a fan of Nancy Drew as young I love the fact that you decided to rewrite one of the books! Do you still have your version?! 😀 To lose the ability to write and read is something I can empathise with and have gone through the same. It is horrendous, frightening, an empty void. It’s a wonder to find that joy again and congratulations on your writing successes – a real inspiration! You have such a wealth of inspiration here Andrea. I will include it on my list of inspirational blogs. It’s going to take a while to go through everything though, so I’ll dip into it when fancy takes! Thank you Denzil, much appreciated. What a neat blog. I love the writing, the magic both of the words and the worlds. Have you gotten that agent yet? Write on! So far I have only had the opportunity to read ‘Brief Delights’ and your ‘About Me’, but I am incredibly excited to follow your blog! My life is also one that revolves around nature, witchcraft, writing (though I am not as accomplished as yourself yet), and many other creative endeavours besides. I have already found inspiration in your writing and can’t wait to read more! I wish you the best with the publishing of your books! I hope it is soon because I would particularly love to read The Skin of a Selkie! Welcome! Thanks so much for your kind comments, I’m happy that the subjects I write about resonate with you, I will be over to visit shortly. I think I am going to be a regular visitor here Andrea. check out mine when you are not writing. It will be a pleasure to have you and I’ll certainly come and visit. I have read some of your posts. You are, truly, a great writer! The title of your blog is perfection–love Harvesting Hecate-you can feel the magic even before yo read the words. Am now following you after your comment on Jill Weatherholt’s Summer Spotlight. Thanks Laura and welcome. I think this is often how we learn to write, by re-writing the things we love at the time! Thanks for your suggestion, I didn’t know this widget was available, but I’ve added it now. Am pleased to have found your blog and hope you can find an agent. I love magical realism and guess my novel should also be in that category. I’m referring to it as a nature saga for the 21st century, if I say animal most seem to want it as a children’s book and it’s not really! I have found the revisions hard but I have finally sent off my first 50 pages to an agent. No acknowledgement yet, not even an automised one, so might try somewhere else but it took a while and I’m glad I revised bits that nagged me. I also found reading it aloud to willing listeners useful. Look forward to following you. Thanks Georgina – you do sometimes feel that you have to explain magical realism a little more to emphasise that it isn’t fantasy and it is for adults. Yours sounds intriguing and I wish you luck with it. Thank you again for taking the time to read my posts and always giving me a positive stroke. I’m just glad I bumped into you here. All the very best for your book! Thank you and you’re very welcome Smitha. Yes it was strange how dealing with these things affected me – it’s those times when you think you should be writing and recording everything that happens, but it just doesn’t work like that. I wanted to thank you for following my blog! I have been enjoying your blog immensely, and admire your writing so, that as a new blogger it is an honour to have you reading mine. I am very grateful. Andrea, thanks for coming back to the writing and the art. They do go together don’t they. You have lost your loved one to a terminal illness and perhaps that emptiness gives you more reason to write–not just more time. I think we must all blog for ourselves first and then for the public. Perhaps if none read, we might be discouraged, but we would have to carry on. Your blog is lovely and your successes speak for themselves. Thank you Beth, I appreciate your thoughts. Andrea, you are a beautiful writer. I hope that you don’t mind- I shared your site on my blog. Thanks Annie, and I don’t mind at all, I appreciate your support. hi andrea – i love your story and look forward to reading more from you. i have always been driven to write/create and it is such an important part of my life. Thank you Beth, writing is a very rewarding calling. Hi Andrea, I’m enjoying your writing and posts more and more, learning from them too as I strive to develop my own writing skills. My Grandmother on my mothers side was what today may be called a Hedge Witch. She had a profound love and knowledge of nature and the countryside. She knew the medicinal and spiritual properties of everything that grew, and understood nature’s balance. My Mum knew many of the hedgerow remedies but never practised. She followed a different path going on to become a Pharmacist! Sadly, other than an affinity with Water (I can dowse – tho’ I suspect most people can), the Sun and Moon, I have none of my Grandmothers skills. Tho’ I do have the same profound love of nature. I shall enjoy reading more of your posts. Hi Clive and welcome. Thank you for all the reading you’ve been doing here, I appreciate it, and I’ve enjoyed reading some of your posts too. That sounds like a wonderful heritage you have and I guess your mum’s path was just the modern version of what your grandmother did! Thank you for your kind words Andrea. I do feel privileged and humbled to have such a heritage, working with it where I can in this modern world. So lovely to read your post and follow via our mutual blogger friend Annika Perry. I can relate to turning to painting which has always beckoned me. Thank you. Thank you and welcome, I’ll be sure to come for a visit. It is a beautiful poem Mary Ann.